Consider the dangerous habit you’re encouraging: Not only does it undo fitness progress, it also trains you to view food as a reward, instead of a source of energy. You just finished the day's workout – a 45-minute sweat session with your friend at a hip local spin studio. You worked hard and are high on endorphins so next you both go to a bar and snack on small plates and sip wine. It's your favorite night of the week. If your workouts frequently end like this — with food or alcohol as rewards — it's time to find an alternative way to reward yourself. For many, resisting the temptation of post-workout treats is easier said than done. But consider the dangerous habit you're encouraging: Not only does it undo fitness progress, it also trains you to view food as a reward, instead of a source of energy. If you're familiar with using food as a reward, you likely do so in one of two ways: As a motivator to begin exercise or as a treat earned after hard work. But if you're trying to lose weight and reap the many benefits of exercise these two approaches don't work. Often you end up replacing the calories burned with empty calories void of any nutritional value that would rebuild muscle or replenish electrolytes, as a post-workout meal should. Breaking the habit of post-workout food rewards starts before your workout. If you try to exercise willpower after a workout when your hunger level is through the roof, you'll set yourself up to fail. Instead, use one of these six strategies to break the cycle and find alternative ways to reward yourself. Make a list of the non-food rewards you enjoy like a massage or new workout clothes – make sure to include a variety of items. Some might be considered a splurge while others should be free or more affordable. Physically write out the list (or use a note-taking app on your phone) and keep it accessible. When you're feeling tempted by a post-workout treat, gift yourself something from the list instead. Come prepared with your favorite, healthy post-workout snack. 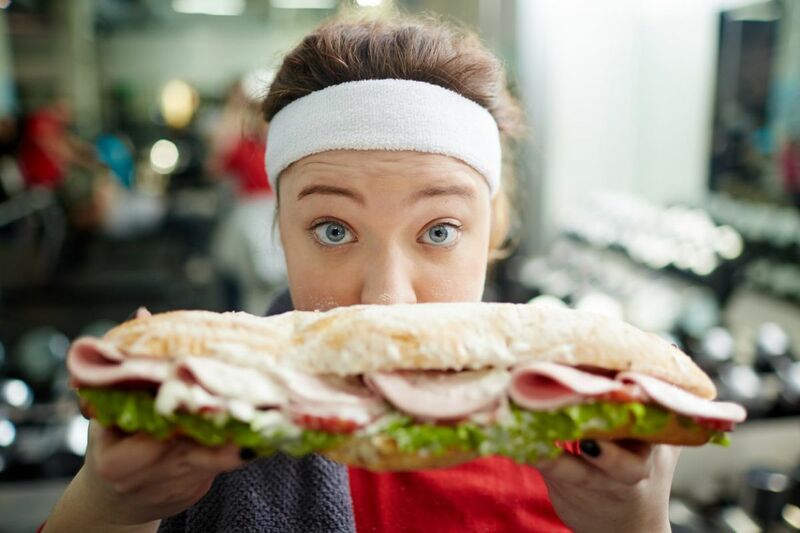 If you're already armed with something fresh and healthy to stave off your post-workout hunger until your next meal, you'll be much more likely to dodge the treats. Think about how good you feel after a workout and choose foods that support that feeling. Choose a mixture of protein and carbs post-workout – a piece of fruit with nuts, eggs on whole grain toast or a protein shake are all good choices. This tactic should apply for all meals and snacks, not just those after exercise. The more nutritious food you eat on a regular basis, the more you'll crave it. If you enjoy a glass of wine or love pizza or dark chocolate, by all means treat yourself. But do so in moderation and at the right time – not post-workout. Designate a night of the week for pizza or happy hour. The other nights, mindfully decide to refuel after exercise. Consider your favorite chocolate protein shake, which tastes naturally sweet as the unhealthy alternative. Dehydration typically presents itself as hunger. Make sure you drink plenty of water before, during and after exercise. If you had a particularly sweaty session, you may want to sip on coconut water to replenish electrolytes. If you have to convince yourself to exercise with food, or feel you need a treat to reward yourself for hard work, perhaps you're choosing the wrong workout. Exercise should be fun so try finding workouts that feel enjoyable to you. If no workout seems fun to you, that's ok too. Instead use the benefits you're reaping as your motivation. Brian Maher, BS, CSCS, is the owner of Philly Personal Training, a Philadelphia-based studio offering personal training, physical therapy, and nutrition counseling. Philly Personal Training is the only studio or gym in Philadelphia that requires its trainers to possess a college degree in an exercise-related field, as opposed to a basic certification.